I swear that Lamingtons transcend the sum of their parts. Look, they’re just sponge cake, jam, chocolate, and coconut. But all together they’re amazing. I borrowed a cake pan from Kelly and Adam (super cool owners of Honest Works Island Pottery in Key West). 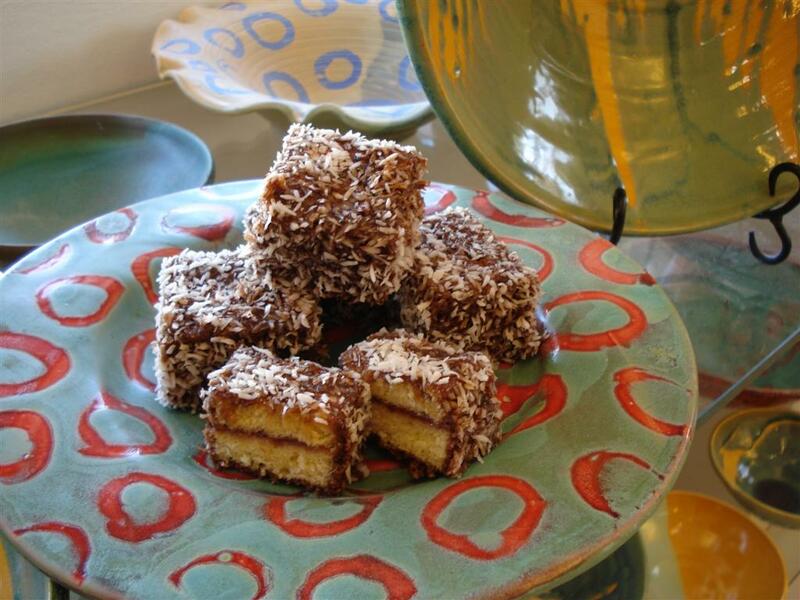 So, when the Lamingtons were done, I took them some cakes and modeled them on one of their lovely turquoise plates. Recipe Here. On the way home I saw this big truck parked across the sidewalk and it made me laugh out loud. 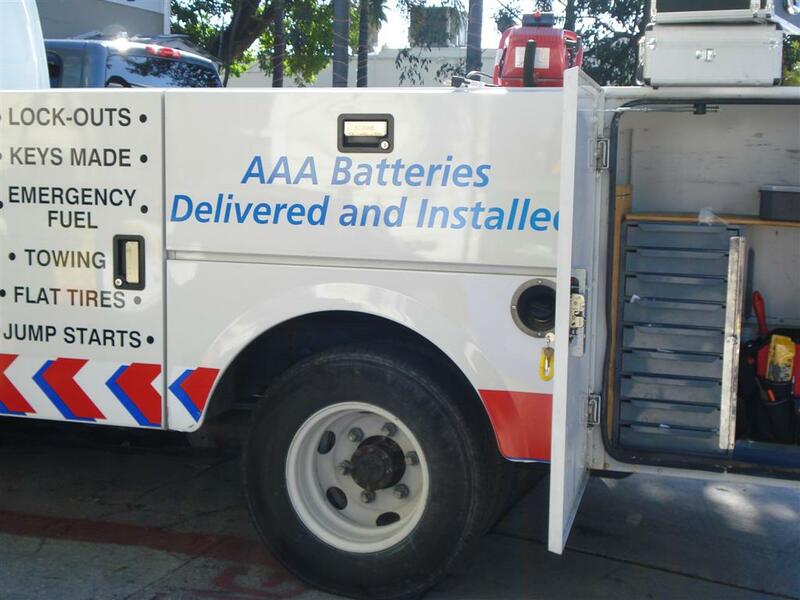 I can just picture my DVD remote control running out of juice and me calling these guys for some spare Triple A batteries, Pronto! Saturday’s advent activity was the Key West Holiday Parade. Here’s the haul. We threw most of this away, but kept enough to eat one piece every Monday for a few months. 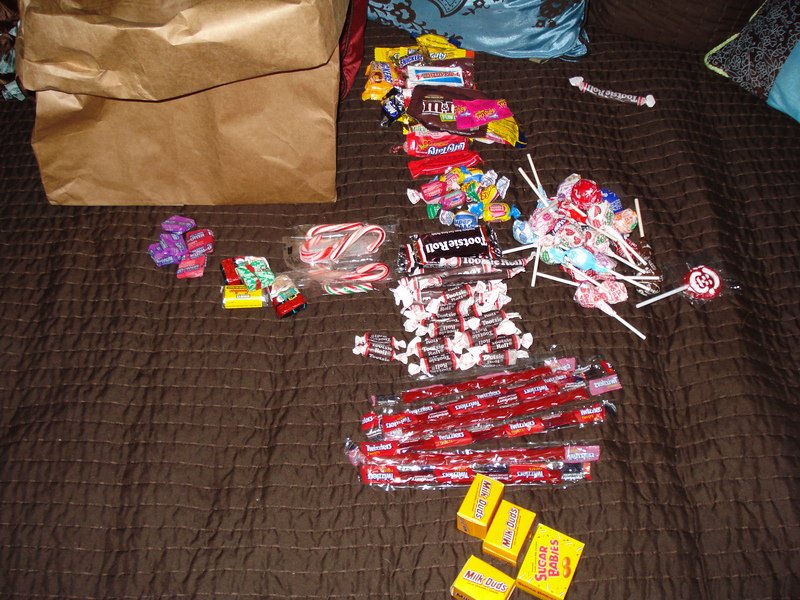 (That was the deal the kid came up with, after I said one piece each day was Too Much Candy. Sunday’s activity was free locals day at the aquarium. 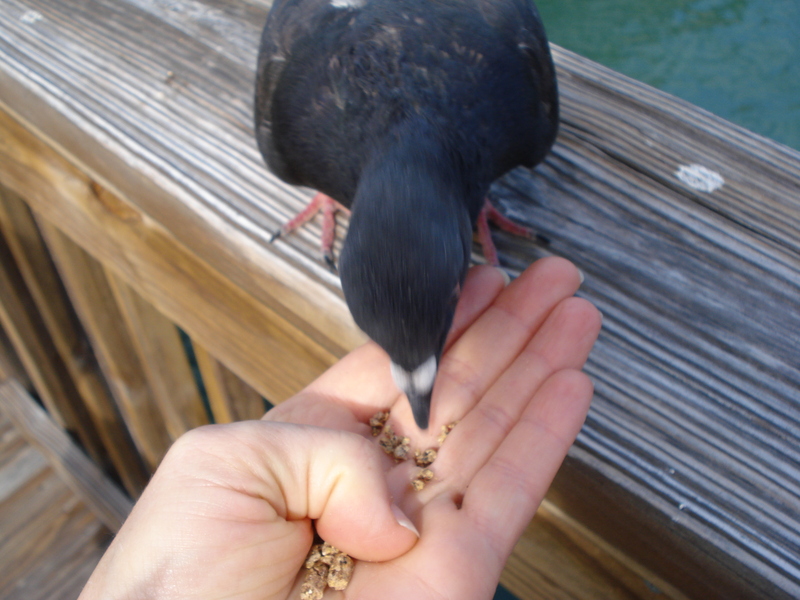 This sweet pigeon ate from our hands! 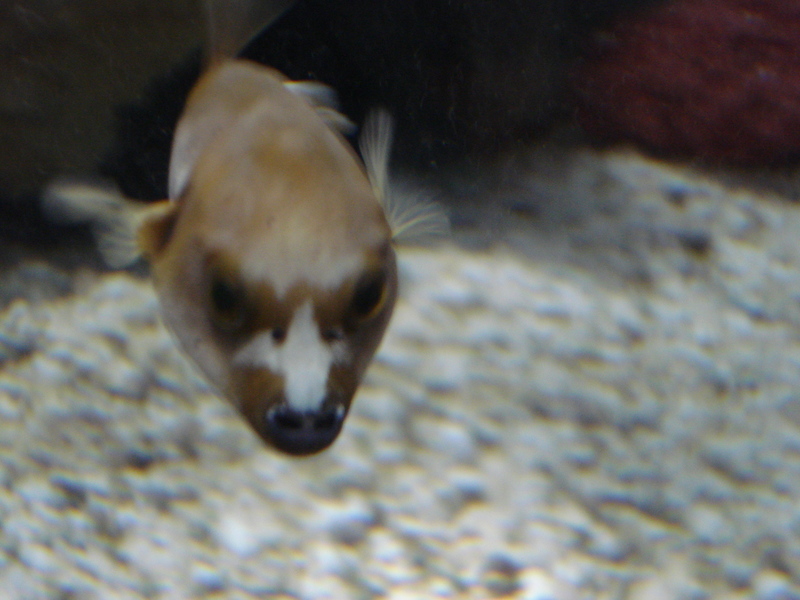 They have a fish there that looks like a PUPPY. It’s called the dog-faced puffer fish. We couldn’t get a great shot, but I wanted to pet him, he looked just like a beagle. 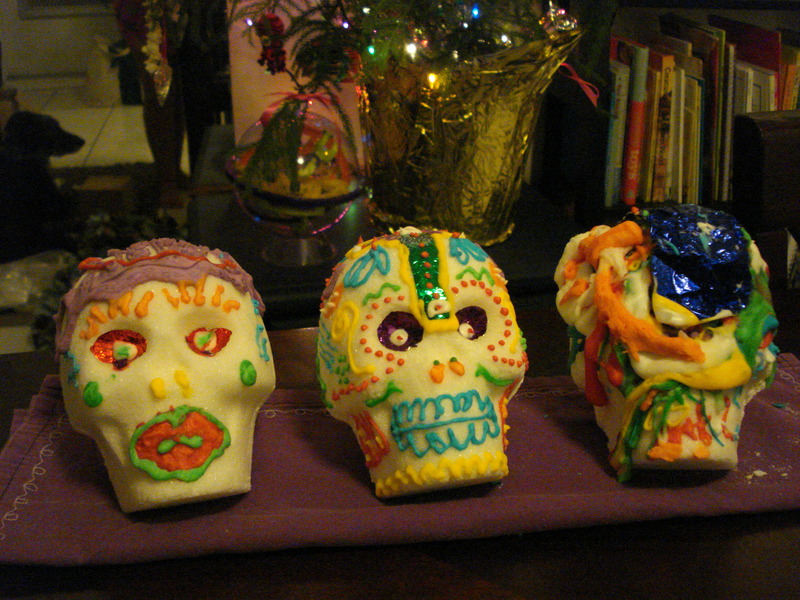 Here are the finished sugar skulls from my sister-in-law Noemi in SLC! The Boogedy believes he won the contest, for Most Use of Frosting. Zach believes he won for best disco lips. never heard of lamingtons until now. sounds and looks delish! may have to try this one out on the family! 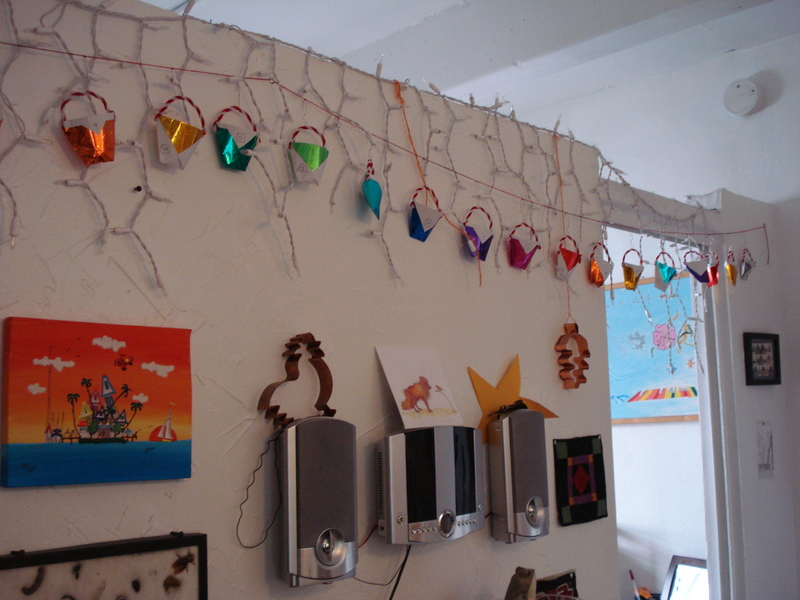 i love your advent tradition as well as your sugar skull decorating tradition! can i borrow boogedy for a couple of days to do these fun things again?